CHICAGO — Republican Donald Trump would be the overwhelming winner of the popular vote for president of the United States today if it were up to coin laundry owners, based on the results of an exclusive American Coin-Op Special Election Survey conducted in the days leading up to the election. Qualified subscribers to American Coin-Op e-mails were asked to identify who they will be voting for today and what issue has been most influential in helping them decide how to cast their votes. Survey takers weren’t required to identify themselves in the unscientific poll. 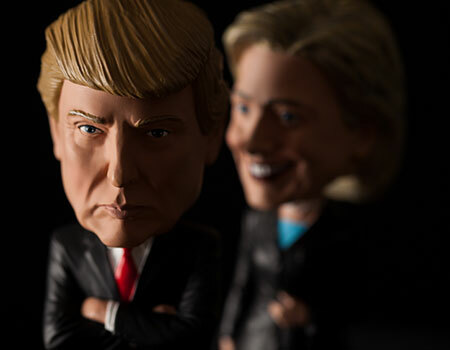 Three-quarters of coin laundry owners surveyed say they will vote for the Republican ticket of Donald Trump and Mike Pence today, while 15.8% of respondents will vote for Democrats Hillary Clinton and Tim Kaine. For the majority of voters surveyed, the state of the U.S. economy was most influential in helping them decide who to vote for, at 37.8%. “Other” was also a popular choice (23.0%), with respondents citing a combination of issues, or a candidate’s background or personality. In this group, several respondents pointed to the Supreme Court and potential future nominees as being a major influence. Regarding the textile care industry as a whole, it would still be Trump in a landslide. Combining survey results from the coin laundry, drycleaning and institutional/industrial laundry sectors (sister publications American Drycleaner and American Laundry News conducted identical polls), 73.6% of textile care owners and operators will vote for Trump. Roughly 19% back Clinton and 2.3% choose Johnson. Undecideds account for 3%.